Five tips to help you make a tough situation more manageable (and help Baby get through it, too). Divorce is difficult no matter what the circumstances. But when your divorce happens while you have an infant, life gets really tough. Tough, but not unmanageable. 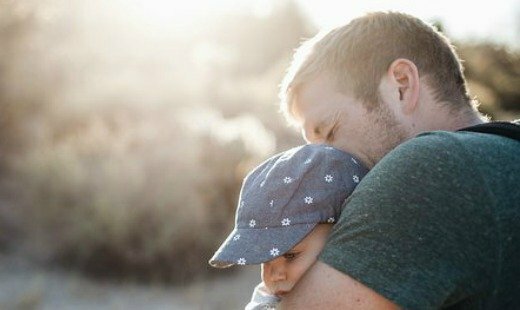 Life after divorce with a baby has a unique set of challenges not only for you and your ex, but for your baby too. *You will never feel like a “normal” family. No matter how your lives evolve, you’ll never feel like the “normal” nuclear family because you’re not. And that’s perfectly OK. In fact, you might call it the new normal because less than 50% of U.S. kids grow up in a “normal” nuclear family. *You will feel frustrated by the lack of control. When your ex has the baby, you’ll hate that they get to spend time with the baby and you’ll worry about your ex’s parenting skills. The only way to deal with your frustration is by learning to trust your ex with your precious child and that can be really difficult when you’re still healing from your divorce. *You will miss some of your baby’s milestones. No parent wants to miss any of their baby’s milestones, but your post-divorce life will almost absolutely necessitate that you will. Instead of being able to stay at home with your infant, you’ll be at work. Or instead of being home with you, your baby could be with their other parent when they have a milestone moment. *You will still need to interact regularly with your ex. This is true for every parent that divorces, but when you divorce while your child is a baby the communication is typically greater because you’re both getting used to being parents to this little one. *You will be the only parent when your baby is with you. When the baby cries in the middle of the night, you won’t be able to roll over and ask your spouse to check on the baby for you. You will be it – the parent. *You will be afraid of a step-parent taking your place. Every parent of young children fears their ex’s new partner coming in and taking their place in their child’s life. But so long as you develop a strong bond with your baby, you will always be your child’s parent. *They will experience pain when their routine is disrupted. Babies do best with a consistent routine. But divorce throws routine out the window because it regularly introduces new experiences and disruptions. Probably the largest disruption from your baby’s point of view is not being with both parents daily. *They will have difficulty thriving until they are in a peaceful and predictable environment again. Divorce creates chaos in your emotional state and in your physical environment. And your precious baby is aware of the chaos. They can feel your emotions and responses. When you’re upset, so is your baby. *They will have difficulty eating and sleeping until they feel safe again. Babies show they’re upset by being tense and difficult. They may develop colic, cry excessively, resist being soothed,o r even lose interest in the world around them. 1. Support each other as parents. This communication isn’t just the normal details required to co-parent. This communication includes sharing the amazing moments you have with your baby with your ex. So send pictures of moments that you don’t want to forget and that you know your co-parent would love to see too. 3. Keep all arguments away from your baby. Show each other respect when you’re with your baby. Remember that your baby mirrors your emotions. If you’re upset, they’ll be upset too. It’s a whole lot harder for you to calm yourself down when you have a crying baby to comfort. And it’s a whole lot harder to comfort a crying baby when you’re upset. 4. Introduce new care givers carefully. 5. Build strong bonds with your baby. Admittedly, these five tips are broad guidelines to help you be the best parent possible. Things will come up that make following these tips difficult. When that happens, don’t hesitate to reach out to family, friends, or a helping professional for support and get back to parenting within the guidelines as soon as possible. Understanding the challenges of post-divorce life with a baby is just the starting point of making this tough situation manageable. It’s only by you and your ex committing to being the best parents you can be that your baby will make it through this difficult transition knowing that they are deeply loved by both of their parents.